Yesterday the kids wanted tacos for dinner and The Mr. wanted chili. It seemed like a lot of the same thing in two days, but I went ahead and obliged opting for turkey tacos last night and beef and bean chili tonight. What can I say, I got off easy these past two days with cooking honestly! True to form I used a couple of different recipes and created my own adding things here and there and I have to say, while my chili is always good, this one had more depth of flavor than the rest I’ve made. I will mention that while it’s not blow your brains out hot, this is not for the faint of heart when it comes to heat. 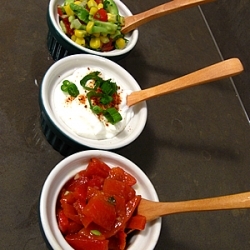 Keep in mind when garnishing with sour cream and cheese that will reduce the heat on the back end. A note about the chipotle peppers in adobo. I’m not sure who this relatively small can is designed for but I can tell you even though it’s a small can, it’s a lot. The last time I had a recipe that called for these, I froze the remainder, thawed them a bit, took out two peppers and that is what I used in this recipe. I stuck the rest back into the freezer even still! Start with your EVOO in a deep pan on medium heat, add your onions and peppers and cook till translucent. Add cumin and mix well. Add your ground beef to pan with garlic and chopped chipotle peppers in adobo and cook till the meat is no longer pink. Add tomatoes and beans, salt and pepper, paprika and chili powder. Reduce heat to low . Cover and simmer about 45 minutes to develop the flavor. Serve with a garnish of cilantro, sour cream, cheese and avocado. 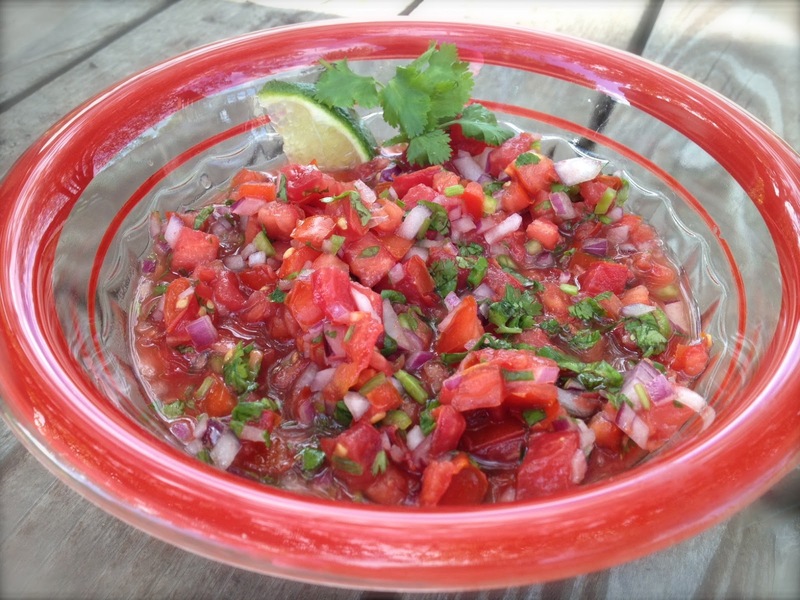 I’ve been asked by friends for years for my salsa recipe and would not divulge how I made it. I’ve always thought it would be my retirement plan to make salsa and sell it. That probably won’t happen. So here you go friends! My famous and highly coveted ~Cilla’s Sassy Salsa!! Not sure about that, The Mr. may be able to answer that one! By the way, this salsa recipe makes a lot and it will keep in the fridge for about 1 1/2 weeks. It’s great on Mexican of course but also amazing on egg dishes too! 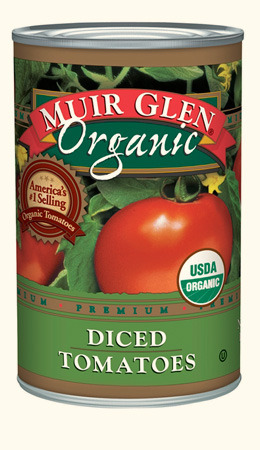 1 box diced Pomi tomatoes / 3 cups of fresh diced or 2 cans of organic diced tomatoes by Muir Glen. I try not to use any other brands as a lot of them have added ingredients and salt. 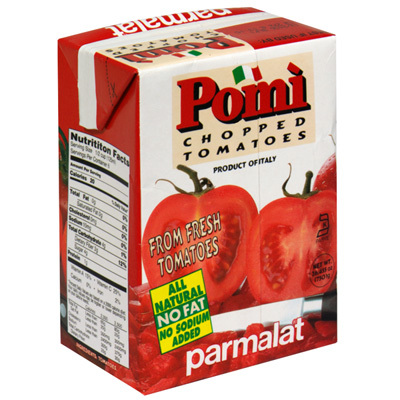 Fresh is best but Pomi is always my first choice for packaged, if they are available. 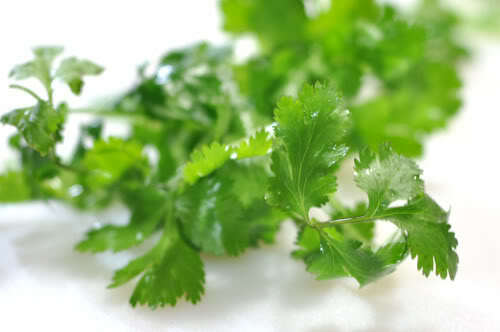 1/2 cup washed and picked fresh cilantro. Everything into the food processor and pulse to desired texture. Easy, right?! 2 ounces dark chocolate, chopped. Ghiradelli is a beautiful chocolate. Heat oil in a large saucepan over med /low heat. Add onion, garlic, oregano, cumin and cinnamon. Cover and cook until onion is almost tender, stirring occasionally, about 10 minutes. Mix in chili powder and flour, stir for 3 minutes. Gradually whisk in chicken broth. Increase heat to med. high. Boil until reduced, about 35 minutes, stirring occasionally. 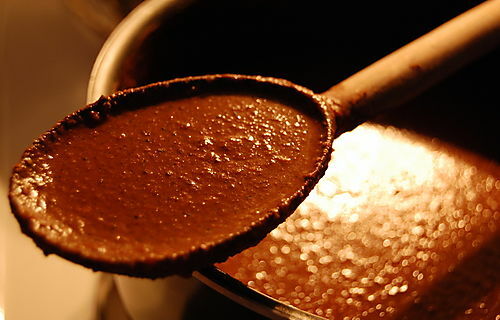 Whisk in chocolate; season with salt and pepper, if desired. Back when we lived in Vermont, on Sunday mornings we used to frequent a great little place in Saxons River called The Golden Egg. They made the most amazing breakfasts filled with good old fashioned ingredients, homemade fare with grown locally ingredients and they even offered locally raised organic eggs for a mere .50 more. Well worth the 2 quarters! We all had our favorite go-to dishes. The Mr. used to get their Mexican Eggs Benedict. The kids, buttermilk pancakes or eggs sunny side up. 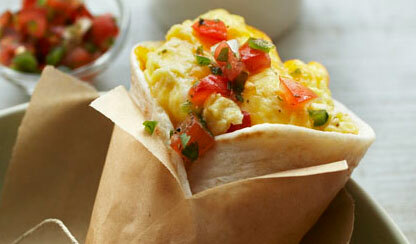 Mine however, was this delicious bake of scrambled eggs, fresh veggies and other goodness. All baked and served with sour cream, fresh salsa and homemade toast. 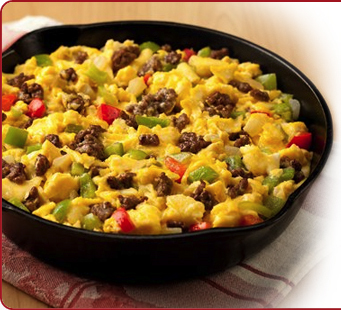 Here is my best version of the Golden Egg’s Scrambled Egg Bake. Depending on how many people you’re cooking for you will need to adjust the amounts visually for this recipe. It really depends on how hungry you are. I’ve made an enormous pan of this stuff, to have it all eaten by The Mr. and I in one sitting. Start by sauteing your potatoes and then add your onions, peppers and mushrooms. Cook until your potatoes are cooked and crispy. Make sure your vegetables are added in time to cook but before they become mushy. Scramble your eggs. Do not overcook eggs. Bake until cheese is nicely melted. Top with chopped scallions and tomatoes. 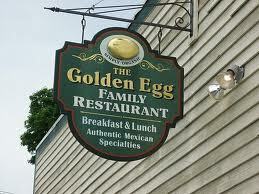 It bears mentioning that if you’re ever near Saxons River, Vermont, do stop into the Golden Egg. I’ve never had lunch or dinner there, but I’d imagine it’s as amazing as their breakfast. As we all know, it is hard to find the time to make truly healthy and delicious meals. But, guess what… with a little bit of planning you actually can. 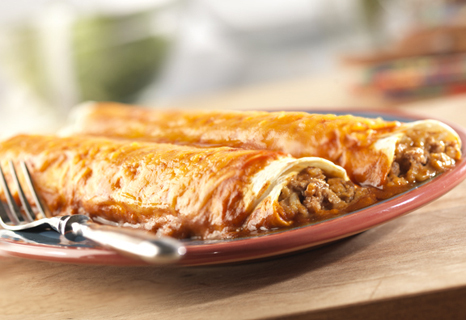 These enchiladas are easy, amazingly tasty and low cal! 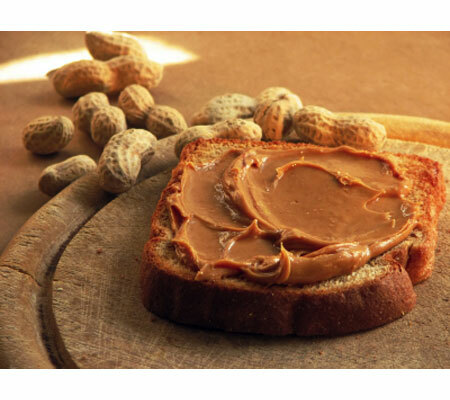 Right-o… Low fat and low cal! Using whole grain tortillas, low fat cheddar cheese and ground chicken, you will never… and I mean NEVER miss the ground beef or extra high calorie cheese. You can adjust the spices if you have a family that cannot take a little heat on the back end or leave it full flavored to get that spicy Mexican goodness. Just don’t leave out the cocoa powder. It may seem strange but it is an amazing flavor, reminiscent of a good mole sauce. If you are in a hurry, make up the spice blend ahead of time and you can even cook the chicken up first. Come dinnertime, all you have to do is to assemble and heat. It’s really that easy. 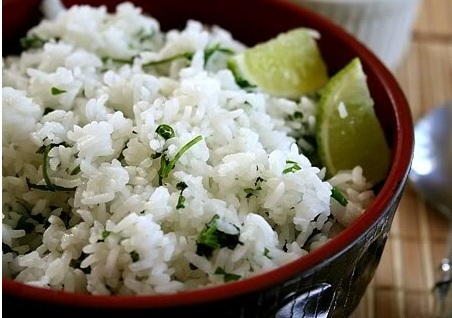 Add some yummy Mexican Lime and Cilantro rice (I’ll give you a good recipe for that later) a nice cool cucumber side salad and your good to go! Fully cook ground chicken as if you were cooking for tacos. Set aside. Stirring constantly, slowly add enough of the water to make a thin paste. Pour into pan and add rest of water. Cook over medium heat, stirring constantly, until mixture thickens. The amounts on the ingredients are very flexible. Don’t leave out the cocoa. It really is the best part of the recipe! Take half of the sauce blend and mix it into the chicken and then add 1 cup of cheese. Mix well to blend all of the ingredients. Here is where it gets messy! Add a bit of the sauce into the bottom of a lightly greased 9 x 13 pan and then dredge each tortilla in the sauce so it’s wet. Put a good amount of the chicken, sauce mixture into the tortilla and roll up. Place seam side down in the pan and repeat until the pan is filled with wraps. Cover with the remainder of sauce and then cheese. Bake at 350 for approx. 30 minutes till nice and bubbly.